Erica’s Beauty, in Lowestoft, is now a well-established beauty salon providing treatments for women, men and children over five years of age. From facials to feet, head to toe pampering is provided by fully-qualified therapists in the luxurious and friendly atmosphere of the salon in the north of the town. We spoke to business owner, Erica Thompson about her business journey. What was your motivation for expanding your business? 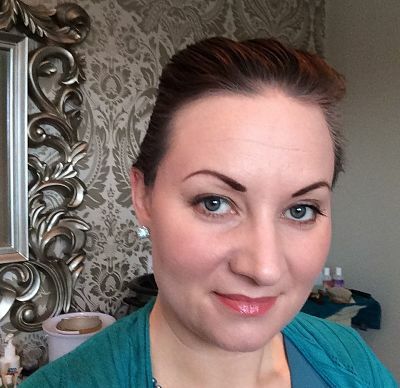 I had been in the beauty industry for over 12 years, working in various salons, five-star spas, and as a mobile beauty therapist throughout Norfolk and Suffolk. I built up my knowledge and experience, and had a vast clientele. When my customer base exceeded what I alone could cater for, I sought the help of enterprise agency, Nwes to support me in taking steps to expand the business. I knew I could achieve business growth by securing premises. With the aim of employing therapists with the same high standards in customer service and treatment experiences as myself, I was determined to bring more clients from the local area into a salon. With my vision set, and after a long commercial property search, I found premises in the perfect location of Village Rise in north Lowestoft, and set about transforming the former bakery into a salon with three treatment rooms. The biggest challenge was project managing the complete conversion of the salon and being respectful of the budget. Disabled access to the building was also in the plan. I have several loyal clients from Mencap so I needed to ensure the salon was accessible for wheelchair users. What have been the highlights of setting up and growing your business? I opened Erica’s Beauty on 3rd December 2013. The salon was immediately busy and I had to recruit another therapist to help with the expanding clientele. Despite feeling overwhelmed at times, I was extremely excited to be so busy, so quickly. A great rapport was quickly established with many clients, and they frequently returned to enjoy the friendly and relaxed atmosphere of the salon. Three years later, Erica’s Beauty is still thriving and the positive feedback and the potential to keep expanding have been just a few of the many highlights of being my own boss. Through the Waveney Voucher Scheme, support received from Nwes stopped me giving up on perusing my dream when I didn’t know where or how to grow my business. The friendly service and advice I received at the time was invaluable, and it was spoken in plain English which I could understand, and it boosted my confidence. As well as benefiting from free courses in marketing and bookkeeping, I also received face-to-face support, and support via email and telephone, which enabled me to build a business plan and set the foundations in place in order to expand. Nwes training courses have been an invaluable lesson in the basics of business, and I’ve turned an idea to reality. Do you have any advice for others with dreams of starting their own business? Follow your dreams and do your research. Never give up, even though the going is tough at times. Bear in mind, it’s not just working 9 to 5 Monday to Friday when it’s your own business, but if you have love and passion for what you do, the rewards are priceless.